In 1989, Naples Gun School's founder David Rich began working in Law Enforcement and later with Corrections in Massachusetts, and finished with a few years of service in Florida. In the beginning of 2007 he moved into the private sector as a Private Investigator and Case Manager with a local investigations firm based in Naples, FL. Almost seven years later the time was right to open his own Investigative Agency offering services to the Naples, Bonita Springs, Estero, Ft. Myers, Cape Coral and other southwest Florida areas, as well as the entire state of Florida and elsewhere. Investigative Tactics, a licensed Florida Private Investigations Agency was born. During his time with police departments and sheriff's offices, he qualified as an Expert at the range, and was a Field Training Officer for new Deputies. 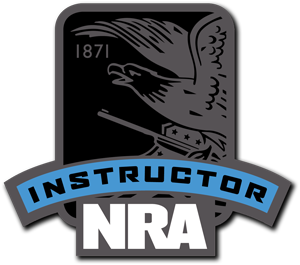 After leaving public service and some time on the private side, Investigative Tactics decided to branch out and begin offering Basic Handgun Safety courses, covering not only the basic handling of pistols, semi-automatics, and revolvers, but also offering the required class one needs to obtain their Concealed Weapons License (also known as the Concealed Carry Weapons Permit or Concealed Weapons Permit). While in the Law Enforcement and Corrections fields, David gained experience as a Field Training Officer for two different agencies, a Gang Liaison Officer, a Florida Department of Law Enforcement (FDLE) Certified Instructor, an Inmate Disciplinary Investigator and an Inmate Disciplinary Hearing Officer. After moving into the private sector as a Licensed Florida Private Investigator, Investigative Tactics' founder became a 20th Judicial Circuit Certified Process Server, a Court Expert in Surveillance & Private Investigation, a Certified DrugWipe Instructor, and was one of the few Instructors for State of Florida required Private Investigator Intern course in Florida. In July 2013 David became an American Heart Association (AHA) BLS Instructor, now offering CPR and AED courses through Tandum Academy aligned with Naples Health Mgmt Associates LLC, dba Physicians Regional Healthcare System). Additionally, he became a National Rifle Association (NRA) Certified Instructor, offering the required course for multiple states' Concealed Weapon License/Permit (CWP/CCW), including Florida! David has been a member of the the Moose Lodge, the Fraternal Order of Police, volunteered for two terms as the Public Relations Trustee while on the State Board of Directors of ABATE of Florida, Inc. and volunteered as their Webmaster for over 6 years (the 4th largest Motorcyclists' Rights Organization in America). He served 6 years as the Executive Secretary for the Association of County Employees (the Union of the Plymouth County Sheriff's Dept. ), and is currently a member of Fraternal Order of Eagles, the Florida Association of Licensed Investigators, National Association of Legal Investigators, and is a Life Member of the NRA.